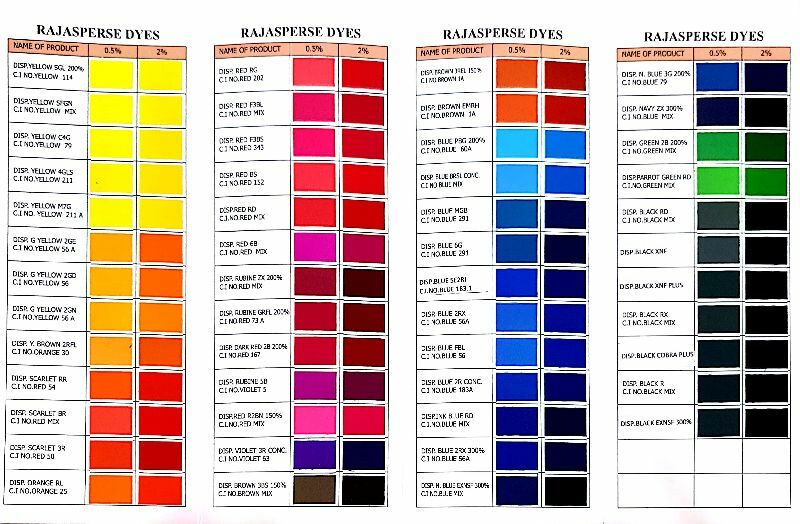 RAJASPERSE Dyes are suitable for dyeing Polyster & its blends.We have carved a niche as one of the most prominent manufacturers & exporters of disperse dyes in india. 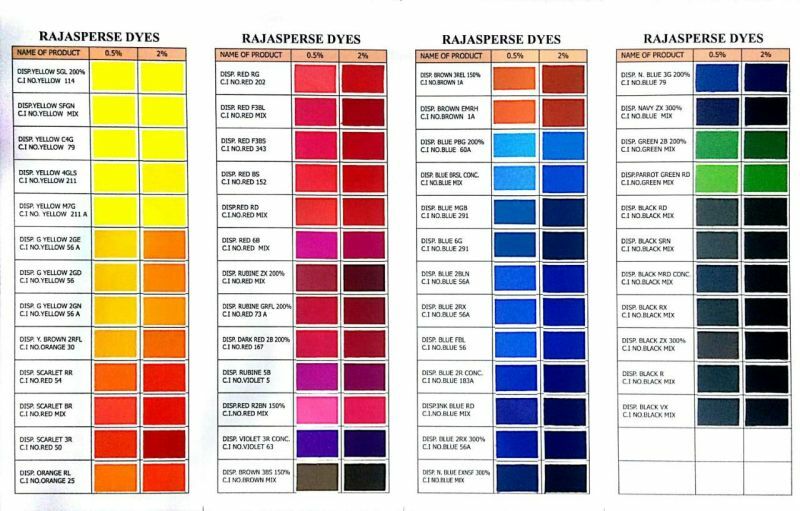 Disperse dyes offered by us are manufactured from genuine quality raw material, which is sourced from well known suppliers. Our range of disperse dyes are highly admired by all our high profile clients in the quality cautious market. Our disperse dyes are free from any non-toxic ingredients and thus are safe for usage. Products Name C.I..No. Products Name C.I..No.